Ghost Mushroom Lane will reopen on 1 May 2019 – see you soon! 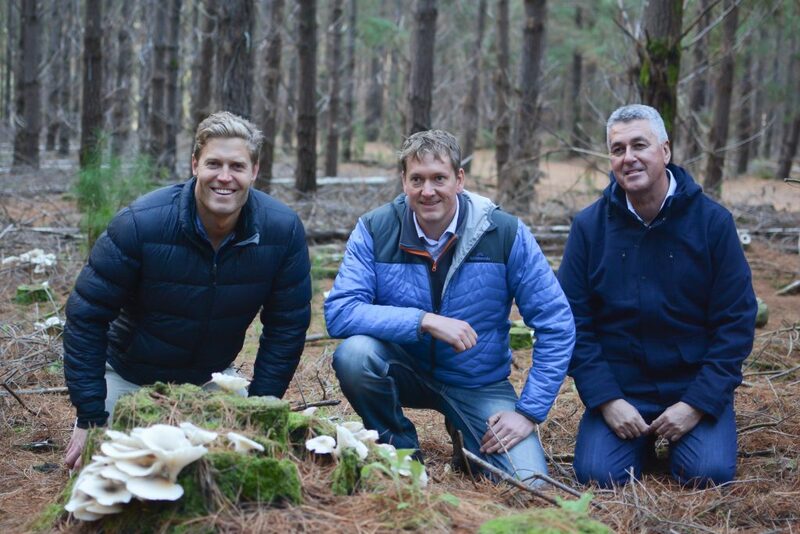 Ghost Mushroom Lane is a seasonal forest tourism experience proudly presented by ForestrySA and OneFortyOne during May and June annually. Scroll down for information, maps, photographer’s guide and images, or to book your guided mushroom tour. A luminous mushroom can be found growing in OneFortyOne pine forest during May and June each year. ForestrySA is pleased to offer you the chance to experience the brilliant glow first hand – free of charge! The Ghost Mushroom (Omphalotus nidiformis) is a bioluminescent fungus that emits a soft green glow at night. The species is native to Australia and can often be found growing on decaying plant material, such as stumps left behind following pine tree harvest. The mushrooms emerge in late autumn following good rain and continue into winter, reaching a size of up to 20cm wide. The soft green glow is a result of a chemical reaction between fungal enzymes and oxygen. The Ghost Mushroom glow can be bright enough to read the words on a page! 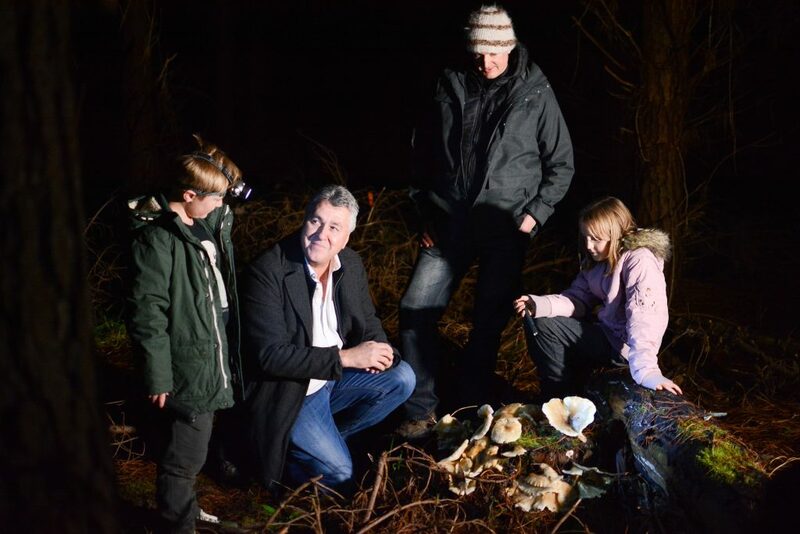 ForestrySA is invites members of the public to visit Ghost Mushroom Lane after dark during May and June and experience the glow of the mushroom for themselves. 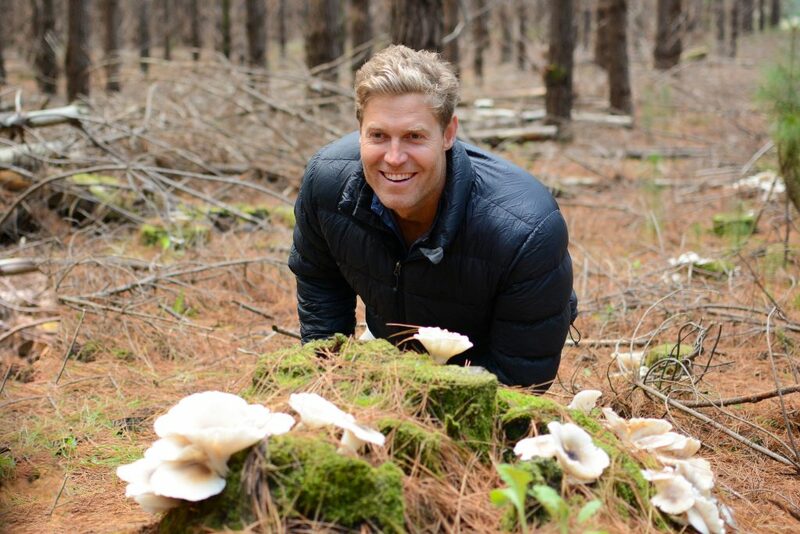 The lane is located within a known mushroom breeding ground, among commercial pine forest near Glencoe just 16km from Mount Gambier. Download the Ghost Mushroom Lane site map here. Visitors keen to exit their cars can take a walk and view the mushrooms up close, warm clothes, sensible shoes and a torch are recommended. 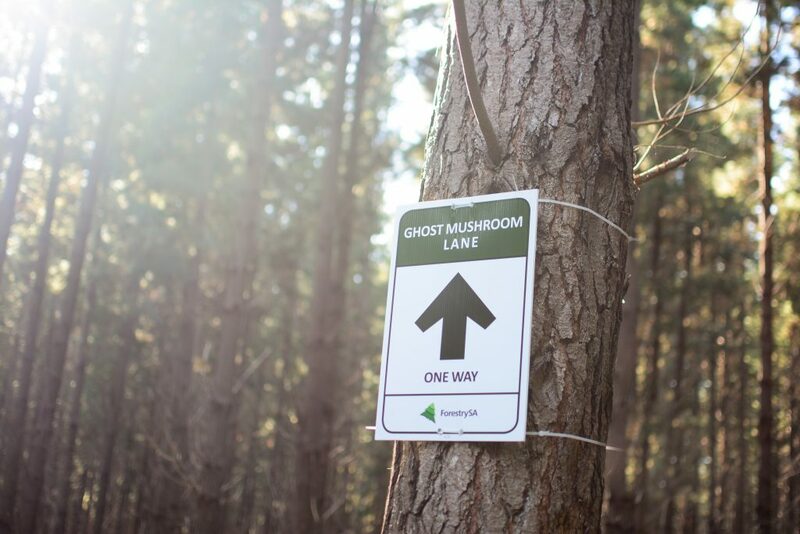 Ghost markers are also available at the beginning of the lane and can be placed along the track where mushroom populations have been found to assist other visitors. For the enjoyment of others, please leave the mushrooms exactly as you found them. The chemical in the mushroom responsible for the glow can be poisonous, causing cramps and vomiting if ingested. Accidental touching is not harmful. A forest permit is not required to visit the trail, but please observe the conditions of entry to the forest and take care while walking on uneven ground in the dark. Ghost Mushroom Lane is not suitable for buses, car-parking is available out the front. Commercial tour operators must contact ForestrySA in advance to arrange applicable permits and permissions. Click here for more information regarding access to forests in the Green Triangle. 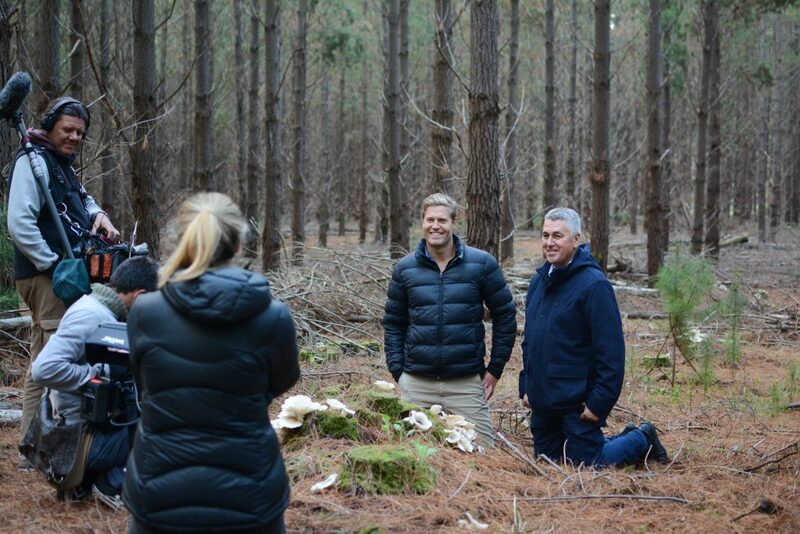 Ghost Mushroom Lane is 2.3km long and located within OneFortyOne Plantations commercial pine forest near Glencoe, just 16km North West of Mount Gambier. From the Riddoch Highway / Princes Highway Roundabout (near Lady Nelson Visitor Centre, Mount Gambier), drive along the Princes Highway towards Millicent. After 12km, turn right on Kangaroo Flat Road and drive for a further 4.3 km, before turning right into Ghost Mushroom Lane. Signage is clearly visible from the road. Download a Ghost Mushroom Lane site map here. 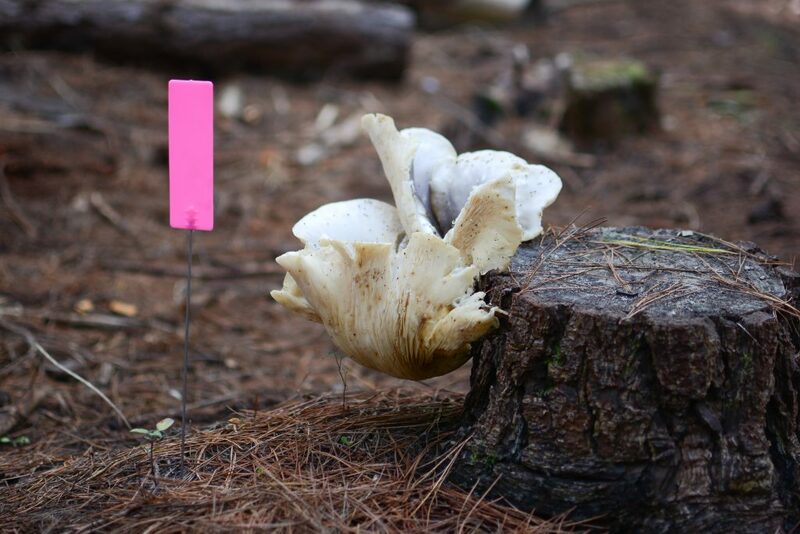 Please be aware that Ghost Mushroom Lane is located within a working commercial pine forest and entry is undertaken at your own risk. The ground is irregular and uneven, with loose surfaces. As the Ghost Mushroom can only be seen after dark, visibility is also poor. This experience is suited to people with an average level of fitness. 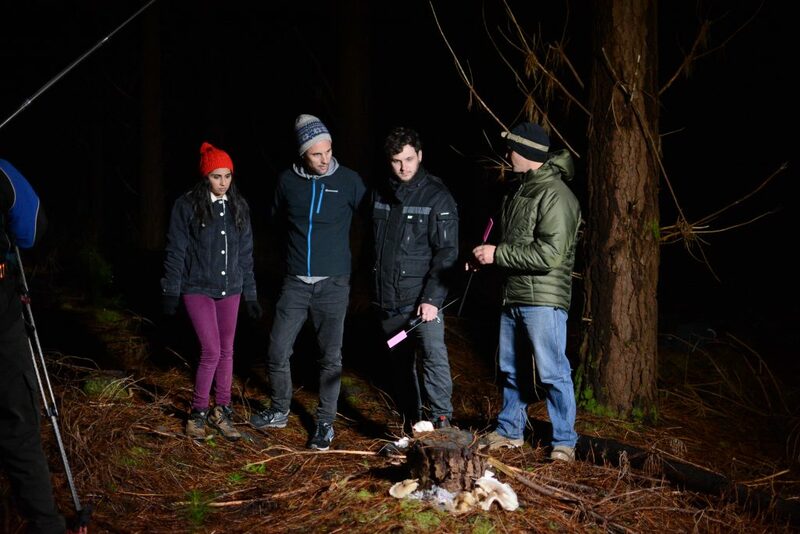 Warm clothes, sensible closed-toe footwear and a torch are a must. Book a Ghost Mushroom Lane tour! We are pleased to offer guided tours for those who want to learn more and get the most from their visit to Ghost Mushroom Lane. 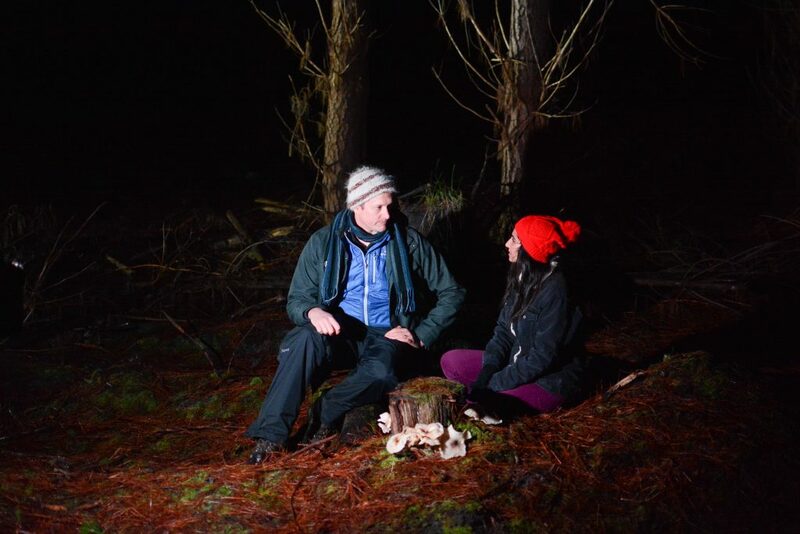 A range of casual and closed group tours are available to book throughout the Ghost Mushroom season (May and June 2019). 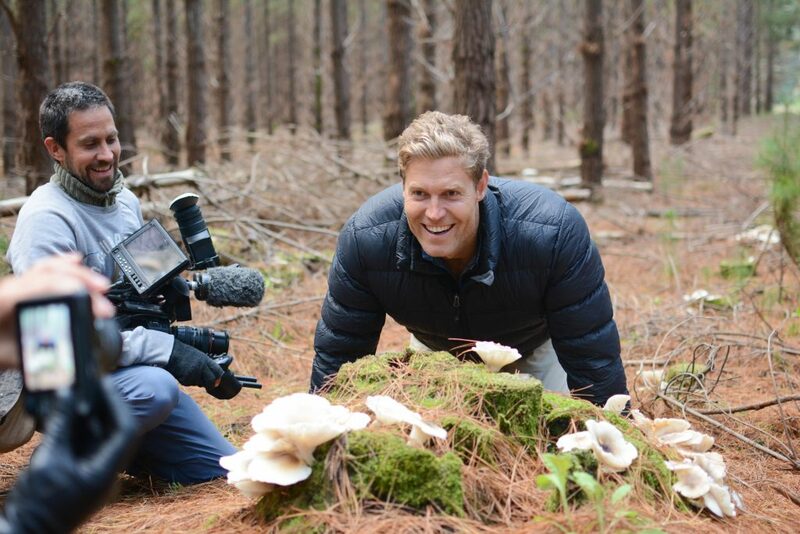 They are run by ForestrySA trained guides and provide the opportunity to view and photograph the luminous fungi up close, in a safe, friendly environment. Fees apply. For CASUAL TOUR BOOKINGS, click here. A series of walking trails are established in pine forest just off the lane-way, within Ghost Mushroom Central during the season. 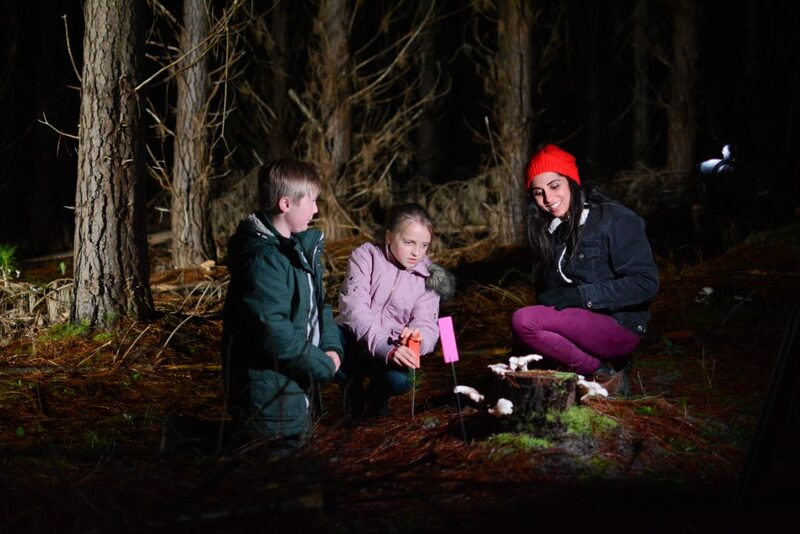 The Fairy Tale Hollow, Fungi Hunter Alley, Ghostly Gully and the Neon Forest trails have been marked out in known mushroom hot-spots, helping visitors find their way in the dark. The location of these walks will change throughout the season as mushroom colonies die off and others emerge. Remember to check back regularly and stay up to date on Ghost Mushroom season. Want a lasting memento of your visit to Ghost Mushroom Lane? A range of glow-in-the-dark T-shirts, beanies and torches are available now. As always, we encourage forest visitors to bring their cameras along to record and share their forest experience. 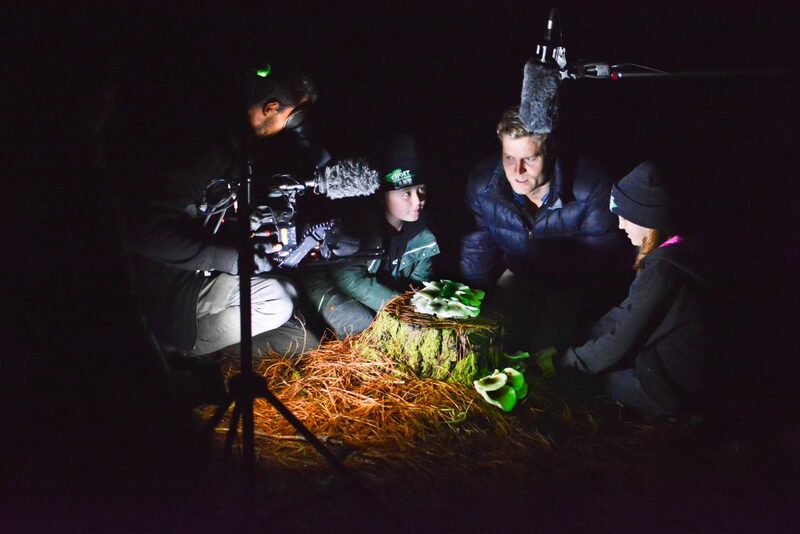 While producing clear shots in the dead of night can be tricky, thanks to well known local photographer and nature enthusiast Ockert le Roux, it has never been more simple. Ockert has kindly put together a technical guide to would-be photographers capture the best possible shots of the ghost mushroom. Just scroll down to the bottom of this page to have a read. 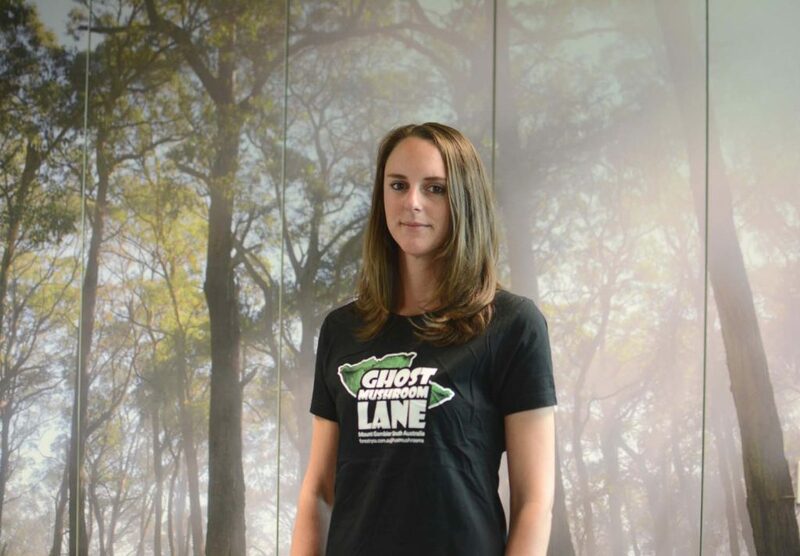 We would love to see how much you enjoyed Ghost Mushroom Lane. Be sure to share your experience on social media and let others know about this unique opportunity. 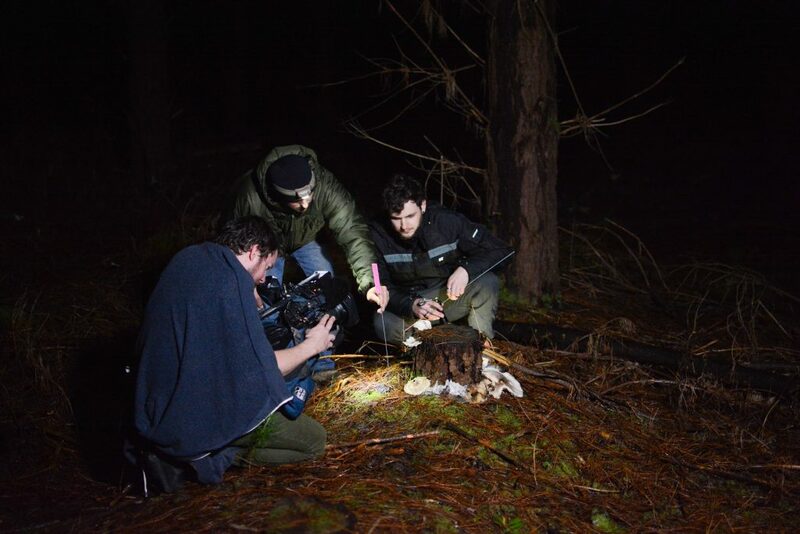 Photographing the Ghost Mushroom in the cold, dark forest environment is no easy feat. Capture the best shots possible, with this purpose-written guide courtesy of local photographer and nature enthusiast Ockert le Roux. Ockert is credited with bringing the mushroom to our attention and is well known for his stunning imagery, so you know you’re in expert hands! Thank you to OneFortyOne for helping us present this unique forest experience in 2019! 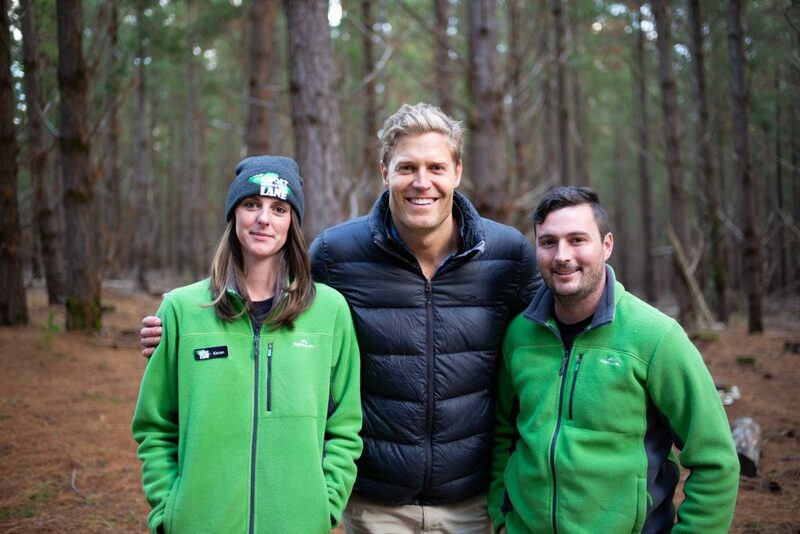 We hope you enjoy your visit to the forest and would love to receive your feedback. Send us an email and let us know what you think.